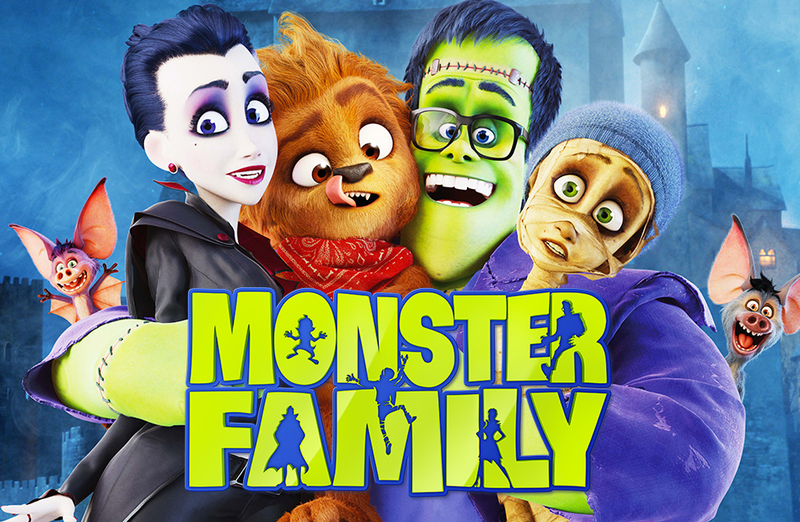 Monster Family is a new animated horror/comedy adventure movie which is a joint UK and German production from the book Happy Days by writer David Safier. The movie features an impressive voice cast which includes Jaspn isaacs. Nick Frost and Catherine Tate. Emily Wishbone (Emily Watson is the owner of a struggling bookshop and mother of two troublesome stroppy teenagers. The family seem to be stuck in a rut and Emma’s attempts to get her family to spend more time together seems to be going nowhere. 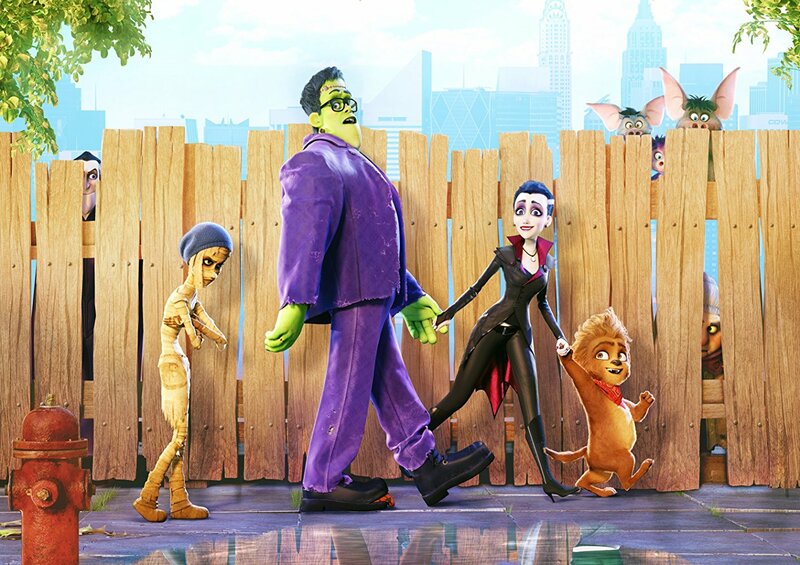 In one last effort to reunite her family Emma make costumes for a Halloween party and drags along her family. Everything doesn’t go to plan though as while at the party the family catch the attention of a real life monster who with the help of a witch turn the entire Wishbone family into Monsters. Their only hope of returning to their normal selves is to find happiness as a family. The movie seems a little lazy script wise as the plot seems like there wasn’t a whole lot of time gone into it. Saying that the voice cast of largely British actors who do a great job holding things together quite well. The humour is very much old school slapstick and has very little decent laughs. Teenagers and up may find this one a little basic but it seems like both animation and plot wise this movie is centred towards the younger viewer and should do more than ok with that audience in particular.